Need to look professional on your facebook business / community page? Let us design your facebook cover page, professionally formatted for facebook. Order of this package includes a FREE Twitter Cover page. Since facebook created pages for businesses and groups for communities, a lot of businesses have used this as an add-on to their business marketing strategy, however a poorly designed facebook cover page only makes your company look unprofessional and the people who like your page will mostly be friends or family, or friends of theirs. 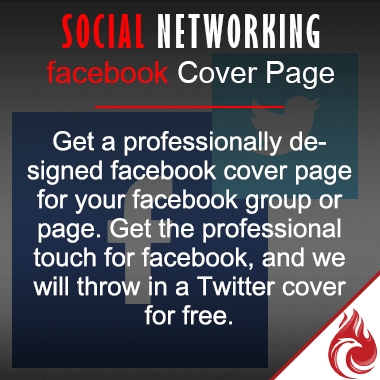 Get the audience you are looking for by having a professional facebook cover page. Get a Linked In cover page for an extra R100.00 when ordering this package.